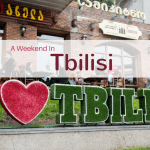 Have you been to Tbilisi? 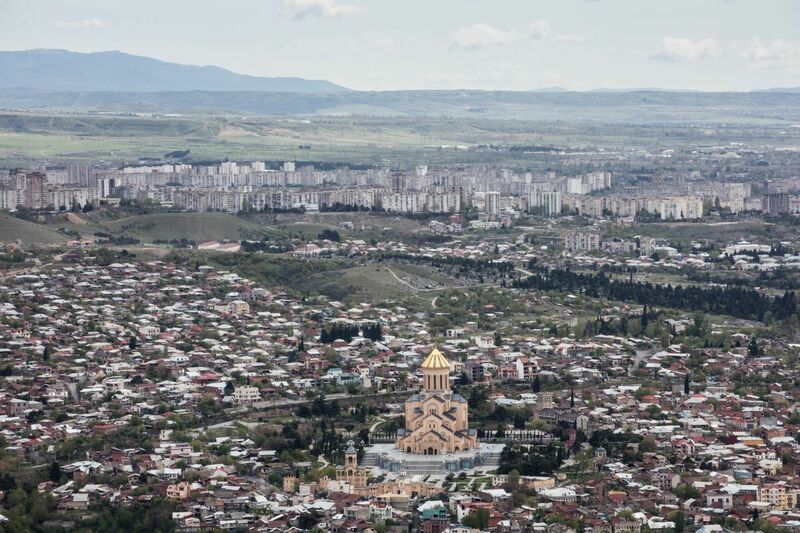 How does our Tbilisi Top Ten stack up to ours? Pin Tbilisi Top Ten for later. One thing we’ve noticed while traveling around eastern Europe is that some countries have come out from under the Soviet umbrella in better shape than others. 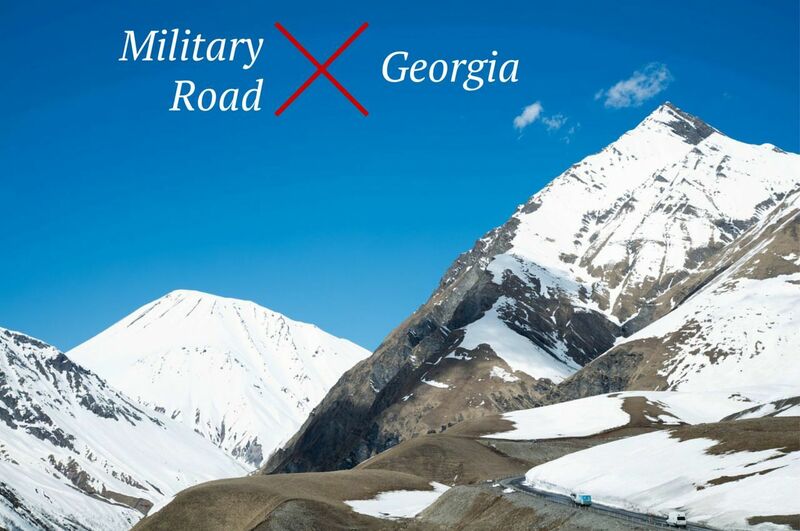 Maybe it’s part of the troubled past of Georgia, always in the crossroads of conquering armies, that has delayed its development. Or perhaps it’s the need to deal with internal strife that has diverted resources from much needed public infrastructure. I can’t really be sure after only a one week visit, but I did notice that even though it is coming a little later to the game, Georgia has been making some strong and determined advances towards putting Tbilisi and Georgia squarely on the tourism map. 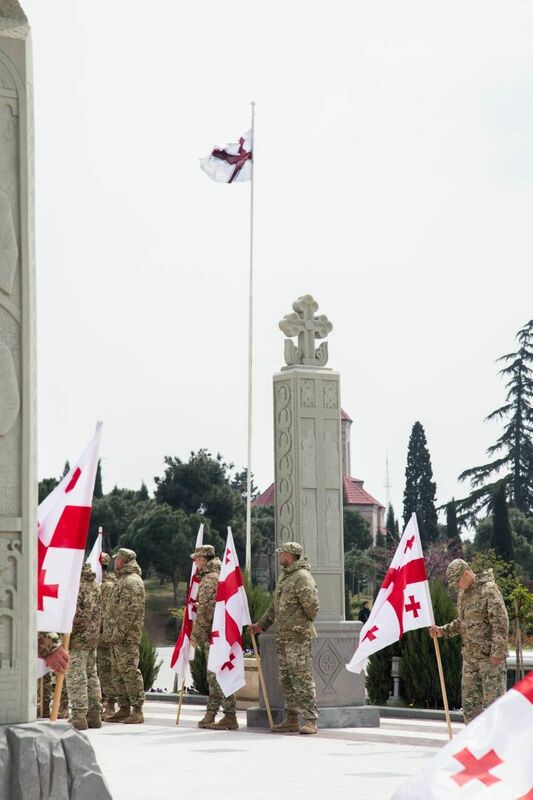 Sites in Tbilisi have been cleaned up, renovated and repaired, and are open and ready for business. 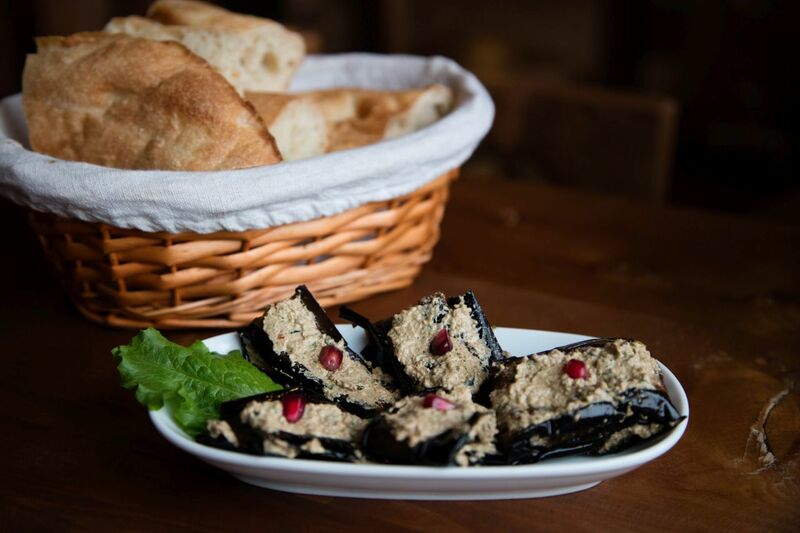 All of this works together to make a visit to Tbilisi both enjoyable and affordable. There are a host of good choices for hotels or guest houses in a wide range to suit any taste or comfort level. The food scene is growing alongside the rest of the tourism industry at a good pace with some really excellent eating options for both local and international cuisine. Of course, wine is where it’s really at in Georgia, with most of the history books agreeing that Georgia is the birthplace of the modern wine making method. 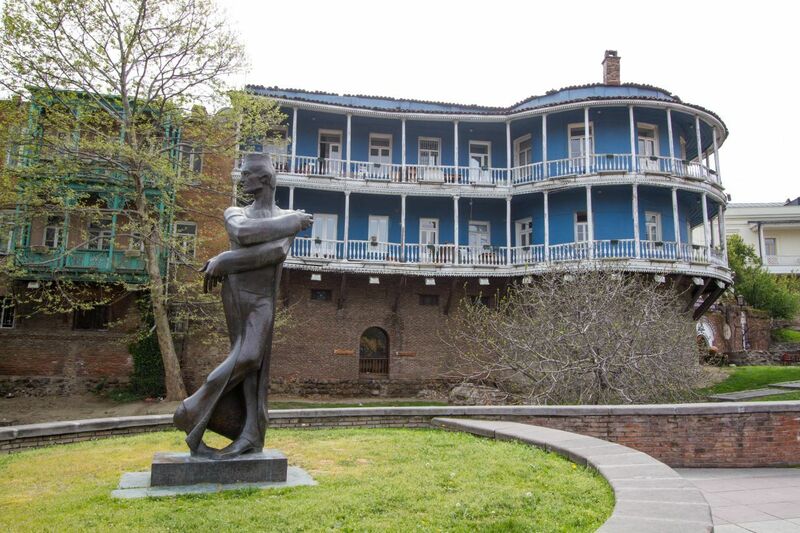 Tbilisi has museums, amusement parks, ballet, bike tours, even a castle ruin to explore. It’s time to make plans for your visit today! Transportation in Tbilisi is one part of the infrastructure that hasn’t quite caught up to the rest of the efforts in the city. 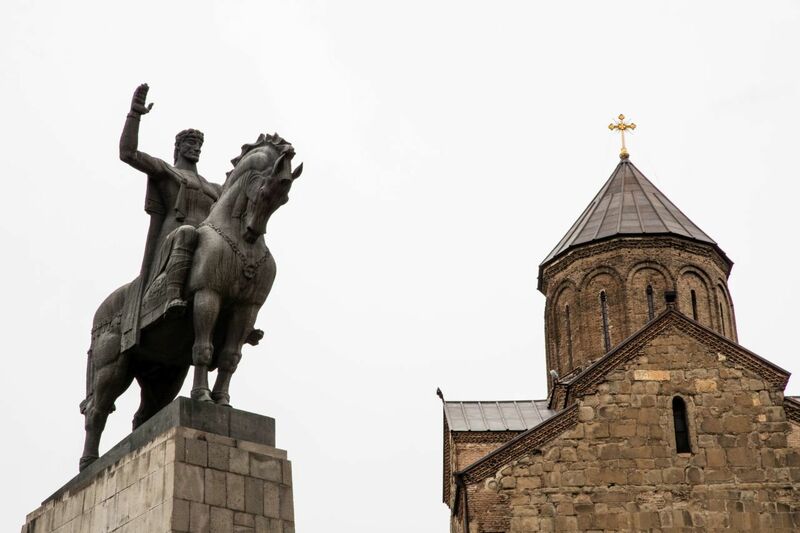 There are some fabulous sites to visit that will reveal Tbilisi’s past but getting to them can sometimes be a challenge. You could drive yourself in a cheap rental car, but then you’ll have a difficult time finding parking and the streets aren’t signed as well as they could be. There are minibuses that drive throughout the city, but we couldn’t find enough information to make them useful to anyone but a local. There is a metro system, providing connections between the various parts of the city, but it won’t get you very close to most of the main sites and this is a hard city to walk with broken or missing sidewalks, difficult street crossings, and major construction sites. The metro system is old and undergoing updates with plans to extend coverage, hopefully this may improve in the future. The best way to get around Tbilisi, especially on a short stay, is to use a combination of metro and taxi. Taxis are cheap and plentiful. The drivers may be difficult to communicate with, most don’t speak a lot of English, but we were able to get around the city with very few problems. Cabs don’t always use a meter system. It’s better to have a good idea of what the ride should cost and then negotiate as close to that cost as possible before climbing aboard. We would ask at our hotel or at a restaurant to get an idea of what it should cost to get somewhere and use that information to set our price. Despite the initial hassle of haggling, once the price was set and we were on the road, each of our cab drivers became friendly, founts of information about Georgia and Tbilisi. 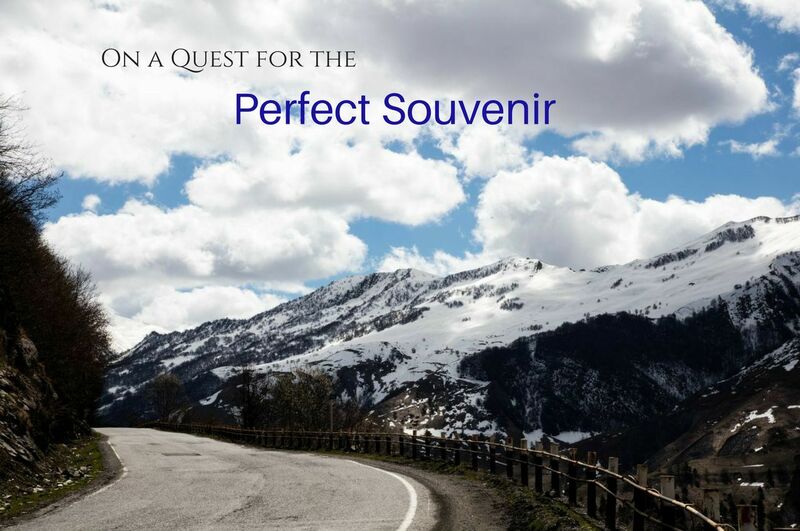 I’m sure it would be a simple thing to negotiate a day or two day driver at a very affordable price which would make our Tbilisi Top Ten even easier to visit. Tbilisi Holy Trinity Cathedral glows serenely in the evening light. Standing tall and overlooking the city like a shepherd watching over his sheep, stands the gleaming, gold topped Cathedral of Sameba also known as the Church of the Holy Trinity. The plans for this massive Orthodox church were begun even before Georgia separated itself off from the Soviet Union, but construction didn’t start until 1995. Progress was slow and costly and didn’t actually finish until 2004, and now the cathedral stands as a symbol of national unity and spiritual revival. On the day we visited, the cathedral had been taken over by the military for a somber memorial. Old wooden houses with wrought iron balconies make up the traditional Georgian architecture. And a walk through the old town is the best way to experience it. Bring your camera as these are some photogenic buildings. The grime and grit of the past two hundred years has added a rich patina. You can’t help but feel that each of these houses has an epic tale to tell. 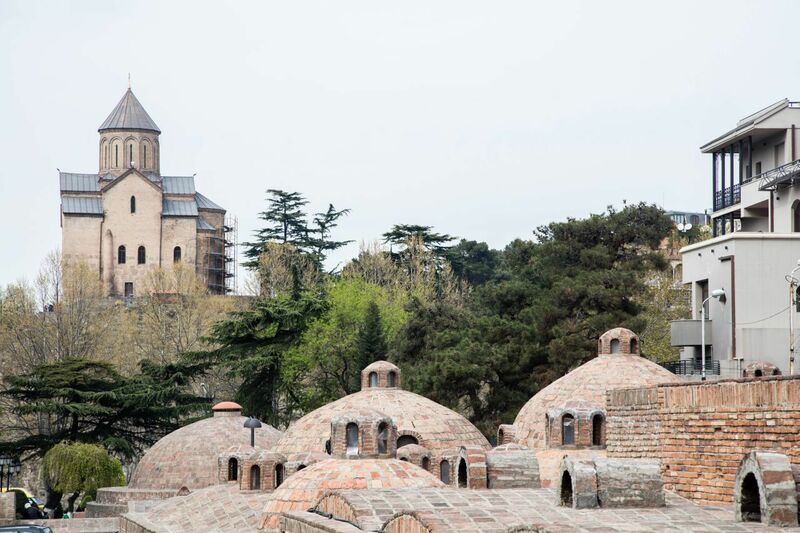 Baths dating back to Roman times have been found in Tbilisi. However, the baths at the edge of the Old Town haven’t been around quite so long. 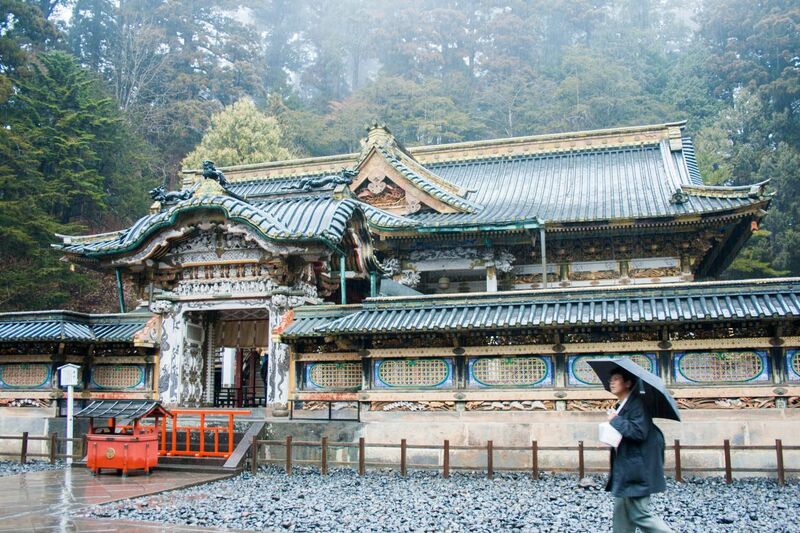 The oldest, Bathhouse #5 is only a mere 300 years old. Inside the tiles and tubs are beautiful and everywhere you’ll find a cloud of welcoming steam. 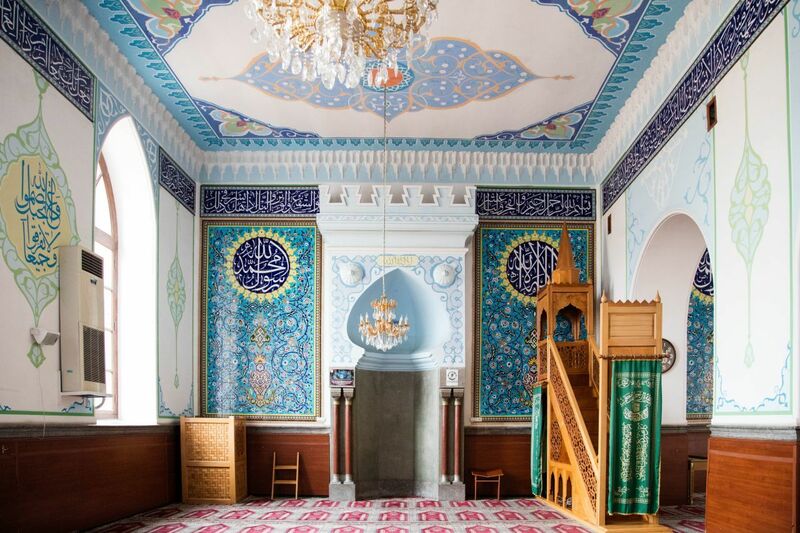 Stop in for a soak, a massage, or a turkish style skin peel in the same bath house where Pushkin once bathed. You’ll leave relaxed and recharged. The tall stone walls and battlements aren’t really protecting anything any longer. Instead they rest overlooking the old town and the sulfur baths which they have protected since the 4th century. You can spend an hour here, scrambling around the walls and towers, discovering some amazing city view points. 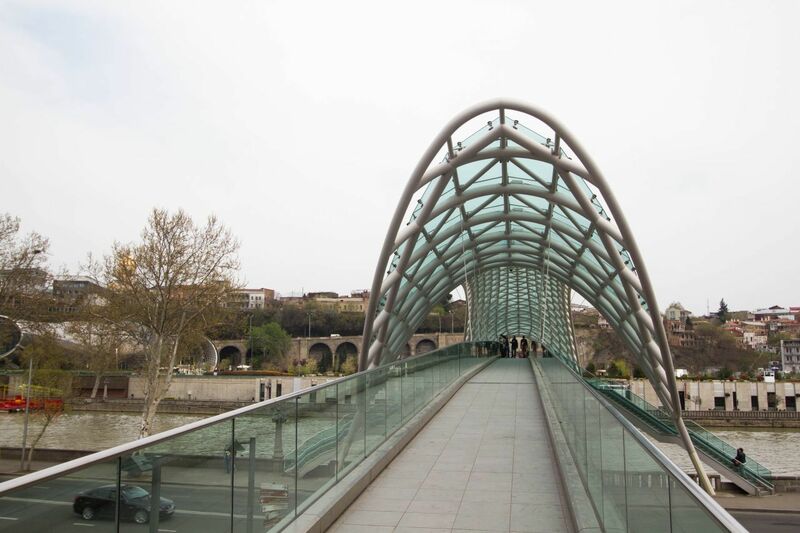 The Bridge of Peace offers some unique views of the old town, Narikala Fortress, and the Presidential Palace. 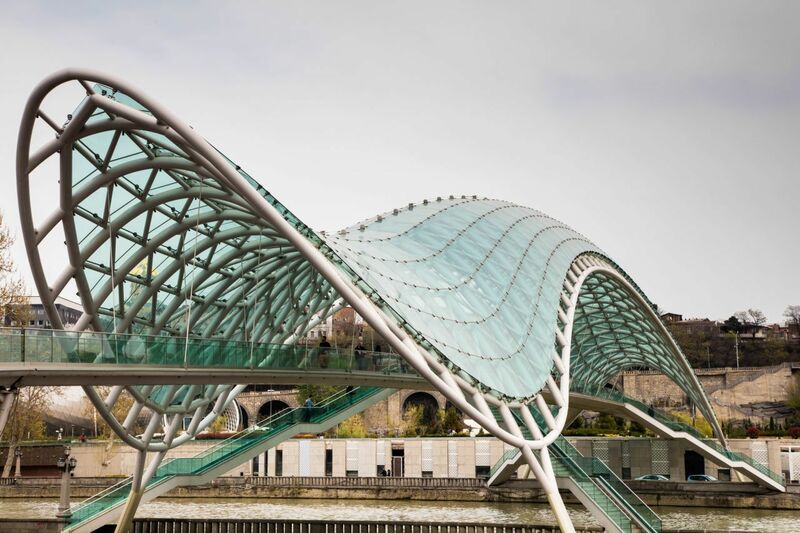 By day it’s a futuristic architectural pedestrian bridge, but by night the structure is lit up and becomes a standalone lightshow. It is a completely unique experience and should be visited both day and night. OK, this may not technically be a site to visit, but it is a fun way to get up to the fortress! These cable cars are part of the city metro system so you’ll need a metro card to ride it. Luckily you can purchase these at the entrance. Again, the views from the rope way are stunning as it lifts you up over the river and the Old Town. I just can’t pass up a funicular. I don’t know what it is but these gravity defying trains just call to me. 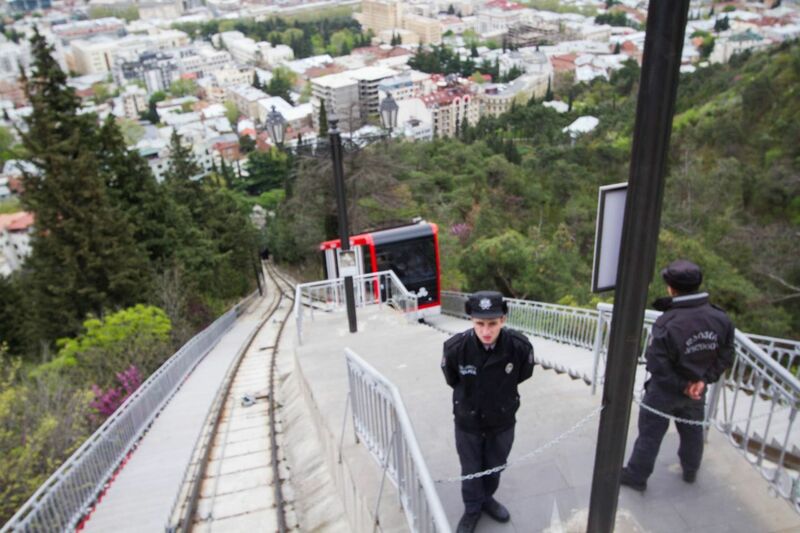 This funicular will lift you up the mountain side to more stunning city views. You’ll also be able to take a break and enjoy a coffee and piece of cake or tort at the funicular cafe. While you’re up there, why not put the kids on a ride or two at Mtatsminda Park. Climbing up into Old Town, around towards the sulfur baths, and snug up below the fortress you’ll find the Jumah Mosque perched on the hillside. 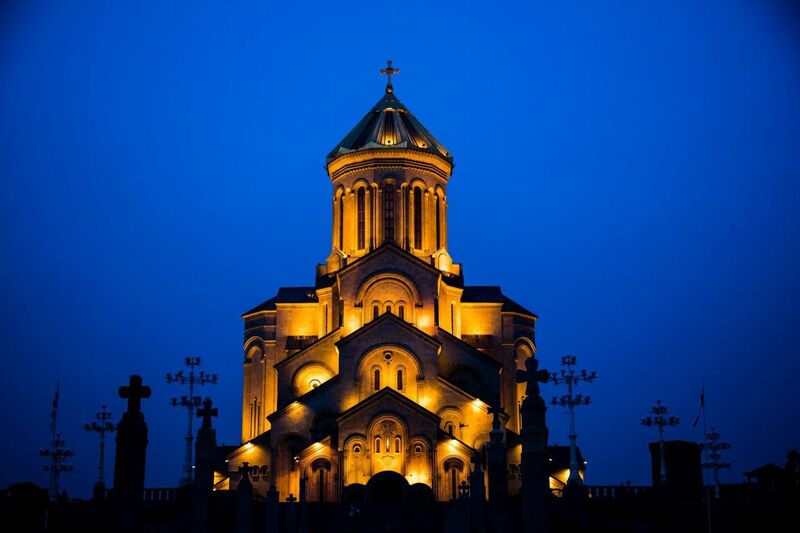 This beautiful structure is as much a symbol of national unity and spirituality as the Sameba cathedral across the river. Here this old mosque stands in one of the most ethnically diverse neighborhoods, with churches, mosques, and synagogues for neighbors. 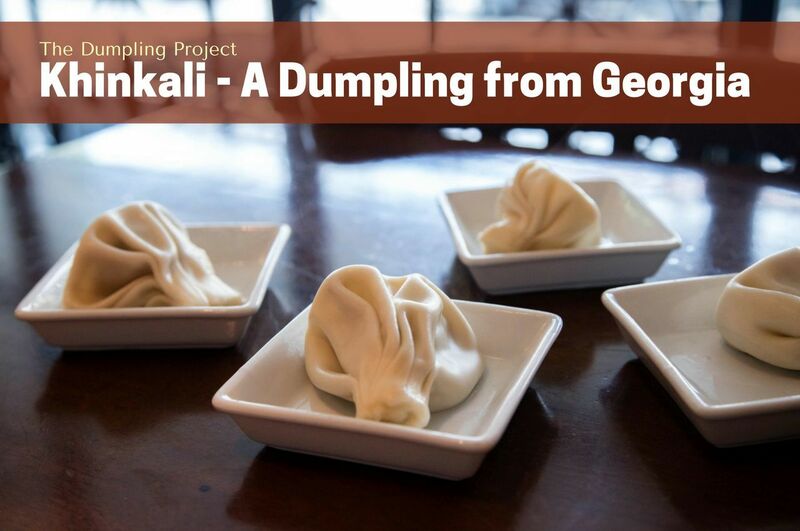 These delicious, meat filled dumplings can be found throughout Georgia, and a trip to Tbilisi wouldn’t be complete without sampling these doughy culinary treats. Be careful when you eat them however, as there is a right and a wrong way. The right way: put down the knife and fork, this is finger food; pick it up with the knot at the bottom and take a big slurping bite. Be careful to catch all of the soupy broth before it runs down your fingers. 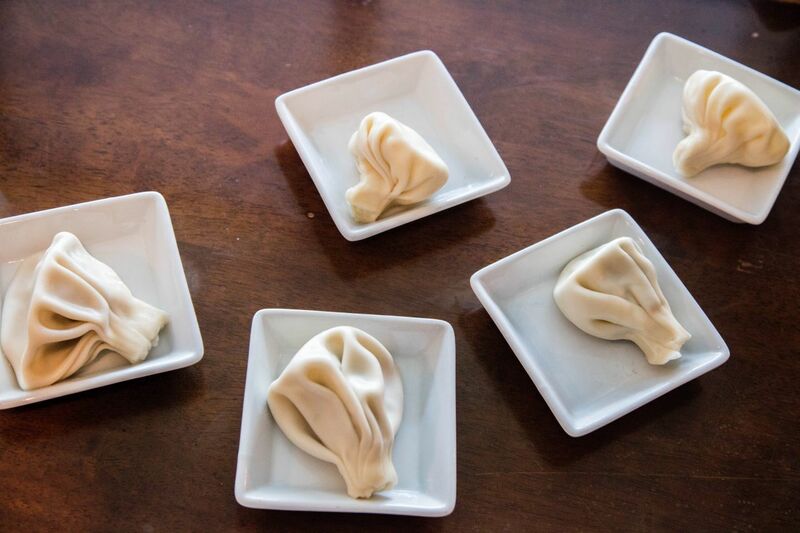 Then finish off the dumpling with one last bite down to the knot. Order a plate of traditional all meat or mix and match some of the more adventurous fillings like potato and cheese. They are all delicious! If you’re lucky you can catch a performance by the world renown Georgian National Ballet at the National Opera and Ballet theater. 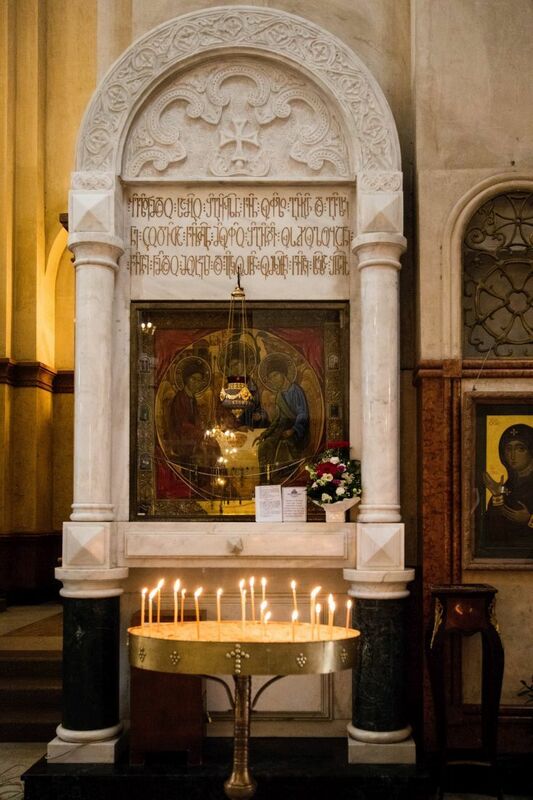 The easiest way to check on this is to ask at your hotel front desk or stop by the Tbilisi Information Center. In fact, they can call and check on show times and availability and the the Tourist Office can even book your tickets for you. We weren’t so lucky and had to settle for the dinner show at Metekhi Chrdili, which was fine, but not quite the same thing. Most visitors to Tbilisi will arrive via air, landing at the small but efficient Tbilisi Airport. Connections to the city can be made by train or bus, both very inexpensive and fairly quick (about US$0.25 for the 30 minute trip!). If you land after 23:00, though, you’ll need to take a taxi to the city center for around 25GEL (about US$10) if you’re a keen negotiator. We stayed at three different hotels in Tbilisi, all of which were comfortable and good value. They ranged in comfort levels from a guest house, to a boutique hotel, to a four star luxury hotel. We payed for each hotel but felt they were worth mentioning as good options. It’s not khinkali but the walnut eggplant was my second favorite starter and not to be missed! Did I mention the sulfur baths!?! Stephen, You will love it! 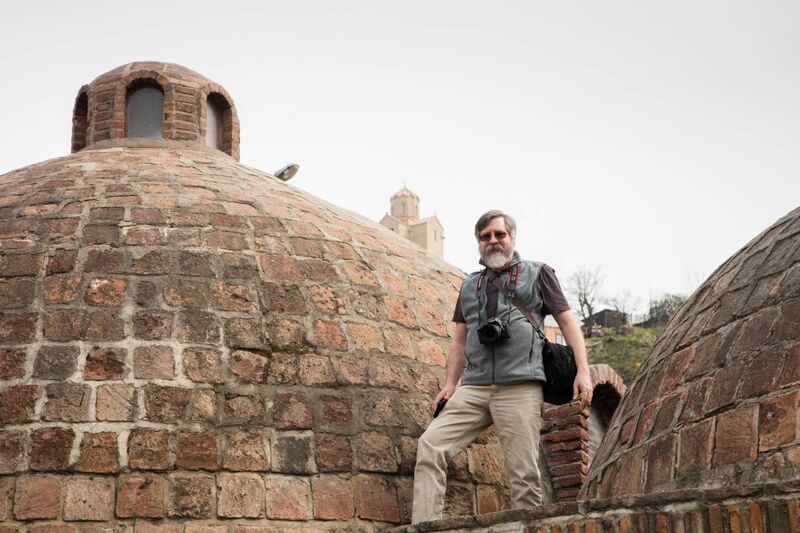 Mike, Tbilisi is a great city and you will really enjoy it. We’re are well, just busy. I hope the same for you! 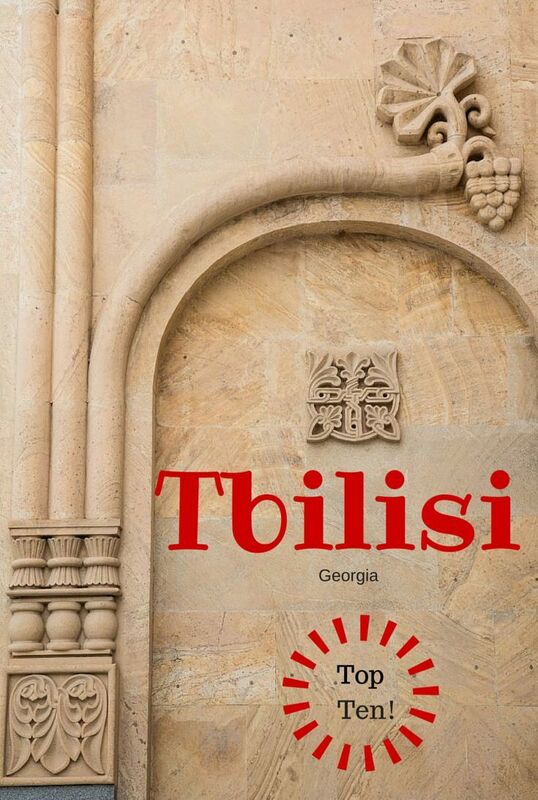 Tbilisi looks like a fascinating city to visit. Your first picture is interesting in that the outer ring of apartment buildings appears drastically different than the old town and smaller homes. 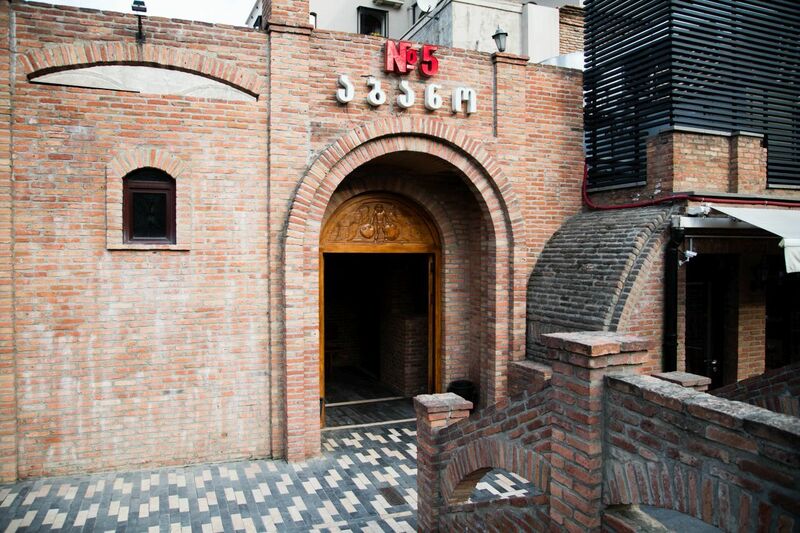 Perhaps built during a communist regime to house the masses? Rhonda, I’m sure that’s right. 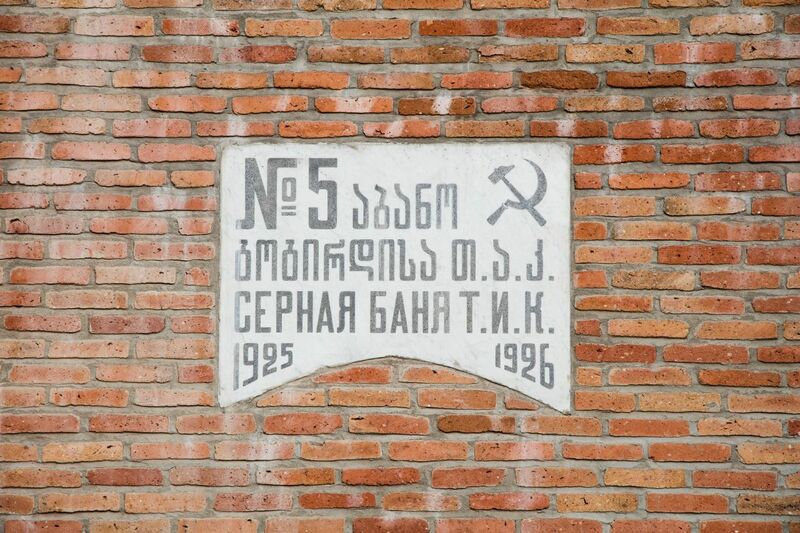 There are plenty of Soviet buildings all over the country, and I have more to post so stay tuned!